When I saw the sketch challenge for Stamp Ink Paper, I knew I wanted to try the Black Ice technique. I watched Melissa Kerman’s video to learn this easy technique. 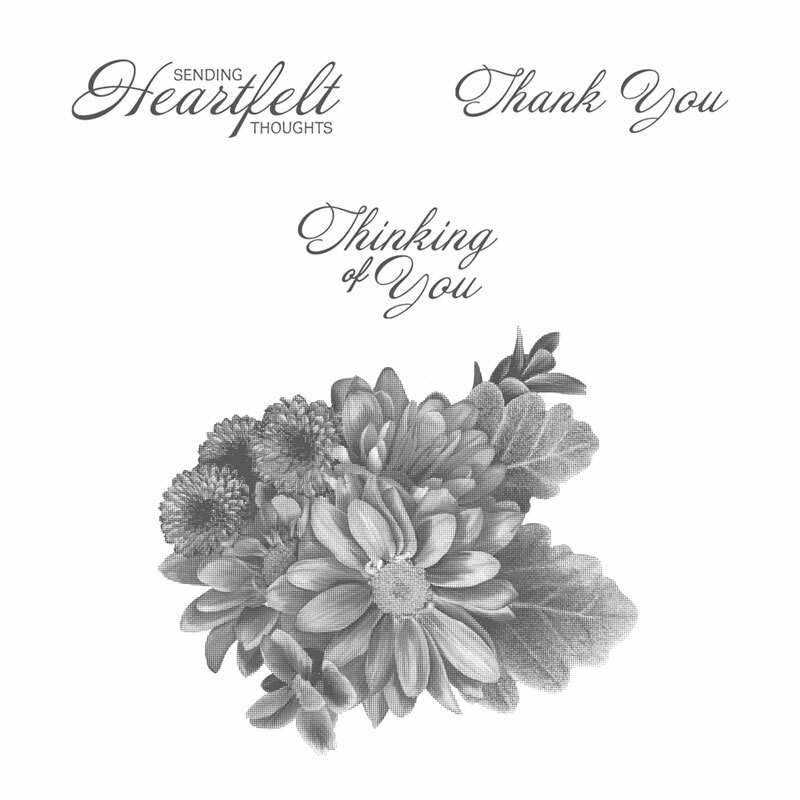 Since Sale-a-Bration is winding down I thought I’d use one of the favorites, Heartfelt Blooms. I took a piece of Silver foil and applied Black Archival Ink directly and lightly to the foil. I stamped the flower with Black Archival Ink and set it aside to dry. I took the Versamark Ink and directly applied the ink to the stamped panel, sprinkled Clear Embossing Powder and heat embossed it. I thought I’d try coloring the flower with Stampin’ Blends. That’s how I determined the coordinating card stock, glimmer paper and ribbon. I cut the foil piece to the size I wanted and then added a little more ink on the edges and added it to a slightly larger black piece. As usual I’m using left overs for the inside. If you need any stamping supplies, I’d be happy to be your demonstrator. Just click on any of the items below or the Shop Now Button and you’ll go directly to my online store. For every order over $30 you will receive one of my handmade cards and a small gift. If you have any questions or comments, I’d love to hear from you. I hope you’ll try this technique. I’d love to see your creations. How beautiful Kathie! I love that you added color with the Stampin’ Blends.. such a beautiful result! Thanks for joining us at Stamp, Ink, Paper for our sketch challenge this week!